In addition to the natural beauty of the island and its cultural monuments, Paros is a preferred destination for its nightlife and entertainment. In summer, visitors can attend many festivals, performances, events and fairs. An evening under the stars at the open air cinema is an unrivaled experience, and art lovers can enjoy browsing through the many galleries. 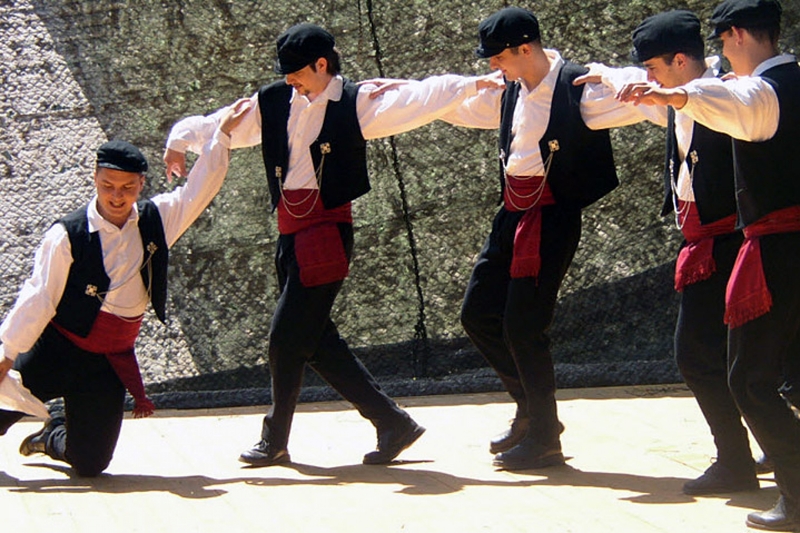 Classical music is performed on occasion in the courtyard of the Ekatontapiliani church, and traditional dances and music are presented in the enclosure of Panagias church in Naoussa. 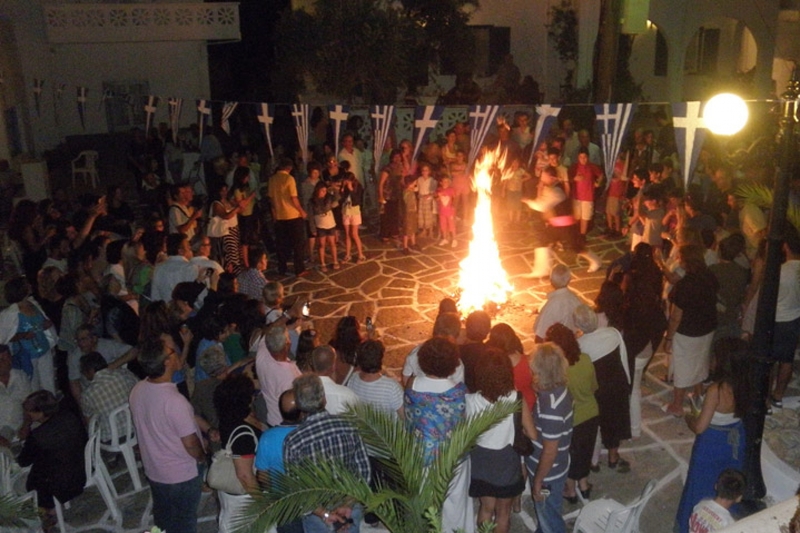 Many events are religious, while others are reminiscent of historical events or honor the fishermen of our island. Every church on the island has a day of celebration each year. Religious spirit coexists with the joy of living at these festivals, as the church service is followed by food, dance and local delicacies. Come and dance and celebrate with us, to the sounds of island songs and our traditional music. 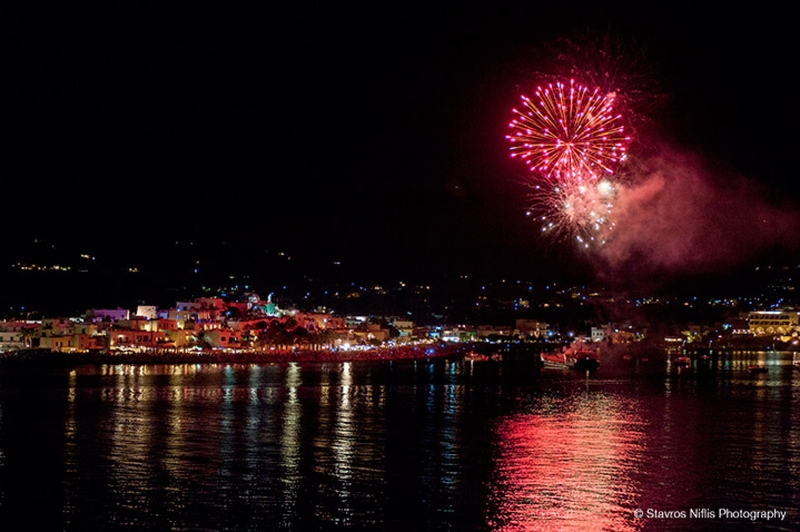 Events and festivals are held so frequently that Parians and visitors always have somewhere to go and something to do (Festival of the Fish in Naoussa and Aliki, Festival of Karavolas at Lefkes, The Routes of Marpissa, The Parian and Aegean Gastronomy Festival, and many more). Celebration, dancing and music at Ampelas.